Special appearances by Jon Langford, Robbie Fulks, Andrew Bird, Fred Armisen (yes, that Fred Armisen), and Jane Baxter Miller. What’s that you say, brother? Having trouble sleeping? Life’s burdens got you staring at the ceiling all night? Booze and pills lost their effectiveness in getting you to sweet unconsciousness? 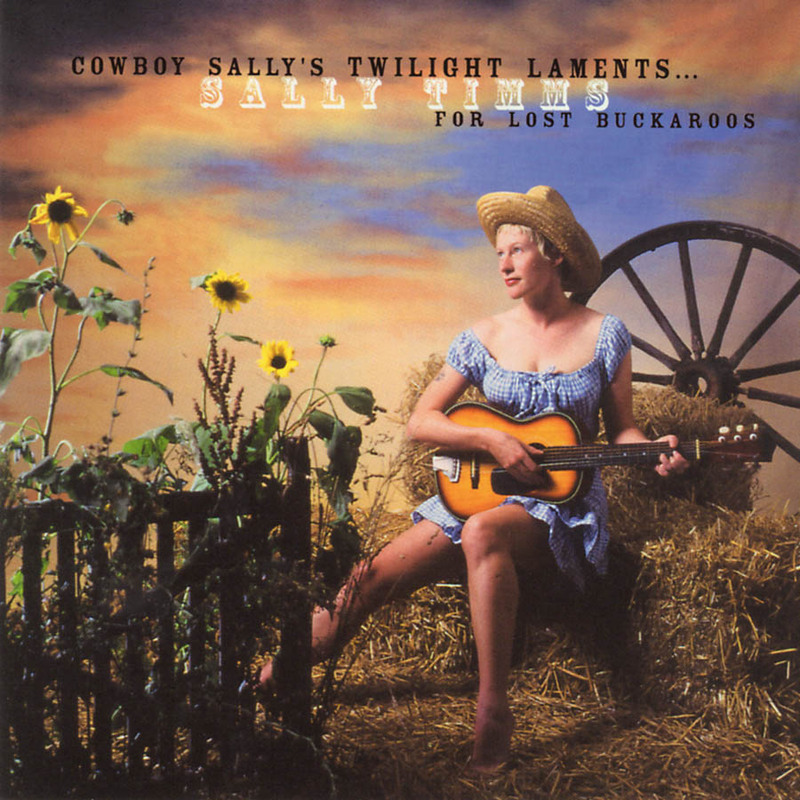 Take heart, friend, because we have the panacea for you: Cowboy Sally’s Twilight Laments for Lost Buckaroos. On this seductive little album, Cowboy Sally curls up by your bedside and softly croons a dozen lullabies for adults about dreaming cowboys, sad milkmen, sweetheart waltzes, Dr. Strangelove, and bloody snowbirds. Her languid, dreamy, smooth-as-honeyed whiskey voice will take you on a pleasing journey through the un-make believe lands of sorrow, betrayal, and emotional devastation. It ain’t gonna help you sleep, but it helps to know that you’re not alone. Backing Cowboy Sally on this album is an assortment of musicians that deliver the mood in spades. Anchored by the likes of Tom Ray (Devil in a Woodpile, Pine Valley Cosmonauts), John Herndon (Tortoise), and Jon Rauhouse (Neko Case, Grievous Angels), there’s also appearances by Jon Langford (Waco Brothers, Mekons), Robbie Fulks, Andrew Bird, Andon Davis (Riptones) Fred Armisen (yes, that Fred Armisen), Brett Sparks (Handsome Family) and Jane Baxter Miller. There’s also songs by Jeff Tweedy ("When The Roses Bloom Again"), Jill Sobule ("Rock Me To Sleep"), , Robbie Fulks (the old-as-the-hills- sounding-folk "In Bristol Town One Bright Day"), Johnny Cash ("Cry, Cry, Cry") and The Handsome Family ("Snowbird" and the devastingly beautiful "The Sad Milkman"). So, our restless charges, lete Sally lead you up those wooden stairs and watch over you while you dream...or try to. The perfect soundtrack for the waning millennium, a sad, dreamy opiate of a record guaranteed to leave you swooning in a Swinburnian ecstasy. Celebrates the long tradition of singer as stylist…the ethereal sweetness of her tone is cut with the hint of some unbearable sadness that words alone could never convey. Her voice never sounded better. It's dreamy, angelic, and totally guileless. She melts the ice with trad-country music gentle enough for lullabies and lyrics odd enough for the Brothers Grimm. Timms blends rapture and disenchantment in a way that recalls those old cliches about why caged birds sing. Her voice, a secretive murmur refined by her native English accent, is the stuff of lullabies. But her knowing stance pulls back from that intimacy with a sweet sadness. Sally Timms "Drunk by Noon"
Ethereal, gorgeous, dreamy, and just downright satisfying. Songs by John Cale, Procol Harem, Del Shannon, and others.